4. 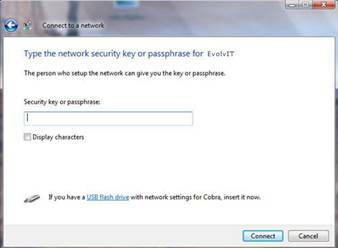 After selecting to connect to a wirless network you will be prompted for a security key or pass phrase. 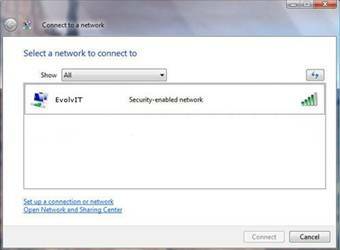 Simply enter in the key or the pass phrase for this wireless network. You will find this information from your router or access point. 6. Vista will now attempt to connect to the chosen wireless network. 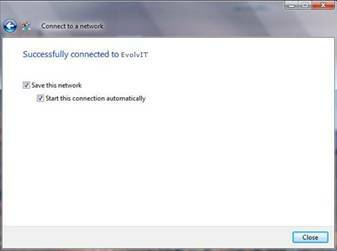 Once the connection is established, you will be prompted to save your connection by checking the Save this network and Start this connection automatically boxes. 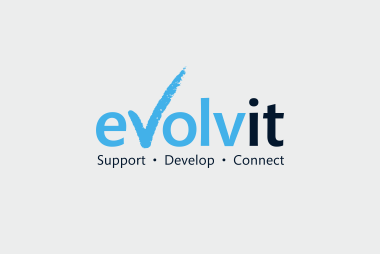 Evolvit support many customers with network support in Bristol and surrounding areas, in fact it can be one of the biggest headaches for small business owners. This is where we can really add value and not be just and outsourced IT service but a genuinely helpful and trusted partner. Get in touch for an informal chat to see if we’d be a good fit.